I have been a night owl as of late, working on progressing my education, career, and personal development; and then also having a 7 month old that ruins any normal idea of a sleep cycle. While combing through things I have written in the past, I ran into something I wrote within like 5 hours of my wife having our first child. 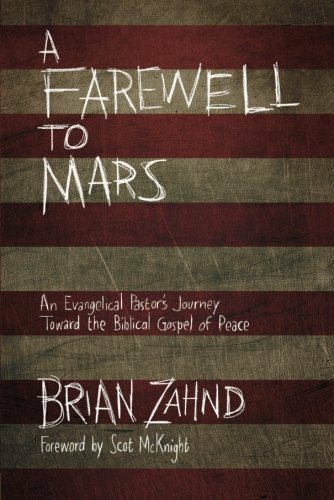 Brian Zahnd, Water to Wine: Some of My Story. Kindle Edition (Spello Press, January 11, 2016). From time to time I come across books that seem real interesting to read, and sometimes they are a sweet deal. A few months ago I came across “Water to Wine: Some of My Story” by Brian Zahnd, but had a lot on my plate, so I put it on my list of books to buy in the future; and today I ran into this amazing deal! On Amazon it is currently free for Kindle only, for a limited amount of time. I have yet to read it, and will be writing a review once I have finished it. Go download it, read it, and let’s talk about it together! The book has a 5-star rating, as of now, with 98% of its reviews grading at 5 stars and 2% at 4-stars. Why would the pastor of a large and successful church risk everything in a quest to find a richer, deeper, fuller Christianity? In Water To Wine Brian Zahnd tells his story of disenchantment with pop Christianity and his search for a more substantive faith. First of all I want to say thank you to al of you who read these posts. I have come a long way, and have had a lot of changes come about; I am sure there will be more opportunities to grow. As many of you will notice, there is a “new” blog on your newsfeed. This page was formerly “Chariskaiirene”, and I have decided to change it up a bit and find a “brand; in other words, I want as much of the site as possible to reflect the goal of it all. Seeing as the hope is to publish material that has the air of a coffeehouse conversation, but that tackles all sorts of subjects pertaining theology, church life and all things Jesus, I have decided on “Coffee Bar Theology” as a perfect match. I can’t wait to see where this site goes, and the fun that will be had along the way. Sign up for notifications on new posts, comment on posts you feel the need or desire to engage, and share with your friends and family and keep the conversation going! Grab a buddy, a coffee, and a chair; let’s talk! Looks like a good book, and it is free! Check it out and let me know what you all think. I have downloaded it and have added it to my summer reading list! I would love to hear your thoughts if you have either read it and/or once you have read it.